There is a story attached with every home that it speaks for itself. 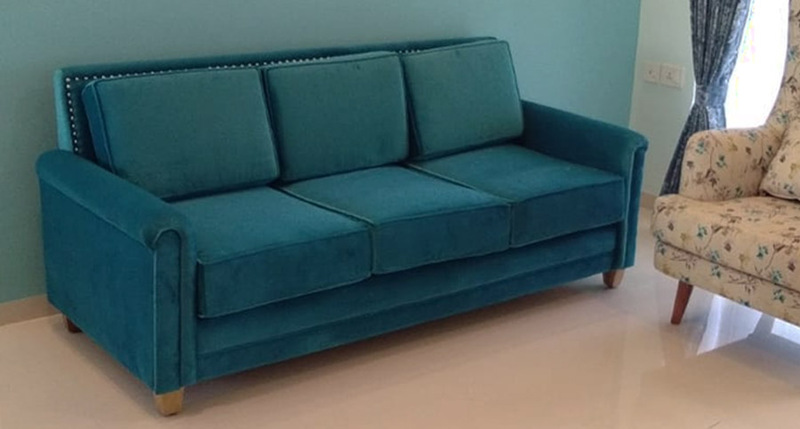 It could be the colour, the vibes or the setup, and these factors make every home unique. After living in Bengaluru for five years, Mr. and Mrs. Dutta decided to buy their own home in the city. Charted Accountants by profession, the couple finally bought their dream home in Rohan Iksha Society. The couple wanted their home filled with solid wood furniture, especially for their living room and bedroom. After a lot of research, they came across woodenstreet.com through Google. 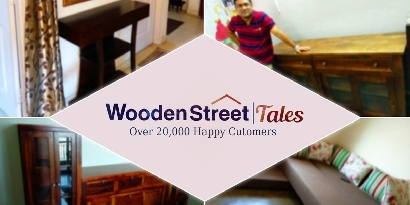 One of their major reasons for choosing WoodenStreet was our customization facility. 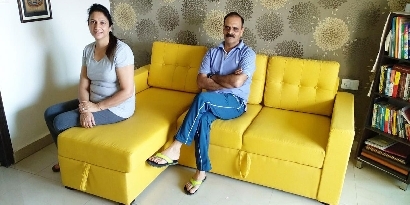 Mr. and Mrs. Dutta were looking for a sofa, center table, bed and some other basic furniture that could complement the existing décor of their apartment. 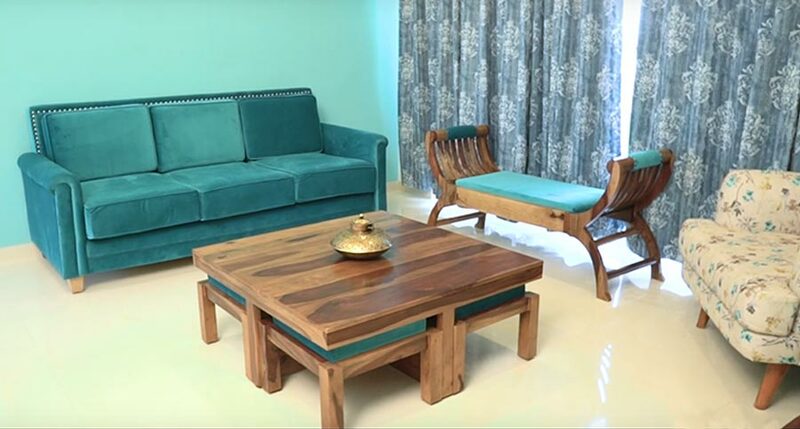 Their living room is filled with fresh and calming blue hues, and to match this theme they chose Aldean 3-seater Fabric Sofa and Marine Bench, customizing both in blue velvet fabric. Built with premium quality solid-wood, the Marina bench with a blue seat enhanced the warm tones of wood in the room, while matching the existing blue theme. 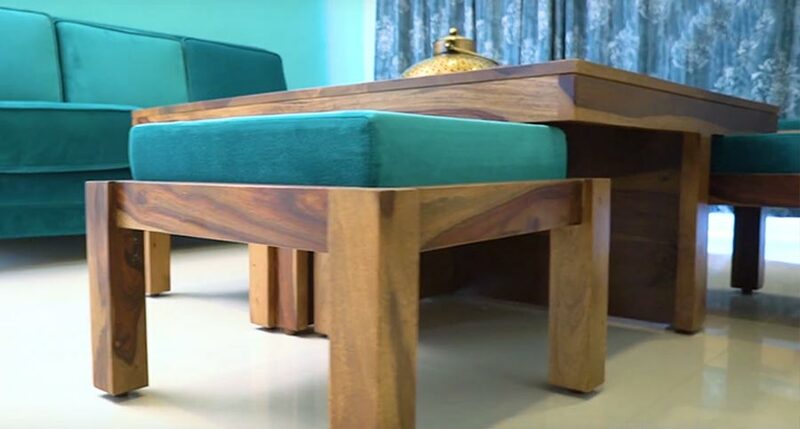 To take the sense of wood further, they also added Reid Coffee Table, this center table with cushioned seats underneath is an ideal piece of furniture to bring extra seats to the room while keeping it clutter-free. Moving towards the bedroom, Mrs. Dutta wanted a low-floor bed in solid wood and she opted for Damon low-floor bed. This minimal bed matched her requirements perfectly. 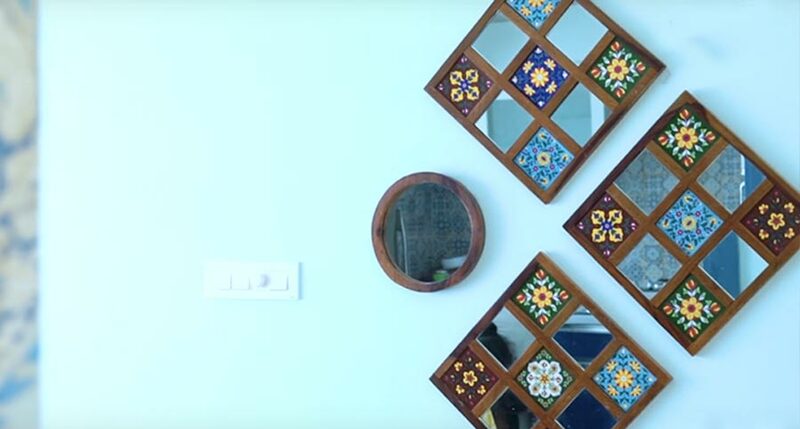 She also bought a Bohemian Mirror Collage from our décor segment. 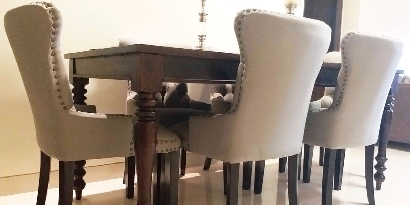 Wooden Street is overjoyed to have been of help in setting up Mr. and Mrs. Dutta’s new apartment. Thank you for making our furniture a part of your lovely home. 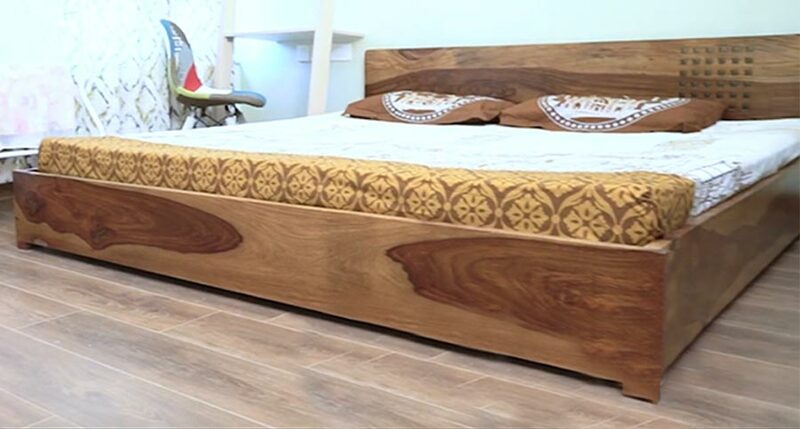 With Wooden Street, you can get the dream furniture that you’ve always desired, with just a few clicks, and even have it customized the way you want.